Our hand selected coaches are highly qualified and experienced, USTA 10 and Under certified and trained, and background checked. In addition to the instructor’s qualifications, our coaches all share and display a passion for kids and the sport. We focus on hiring not only experienced coaches, but coaches with great personalities and abilities to connect with kids in order to make tennis a fun learning experience and hopefully a lifelong sport for them. Walter is a born and raised New Yorker, living most of his life in Fresh Meadows, NY. He has always had a love of sports, growing up playing baseball and soccer before taking up tennis relatively late at the age of 15. Walter was teaching kids by the age of 16 at his High School coach’s tennis camp and was a scholarship player at St. John’s University. 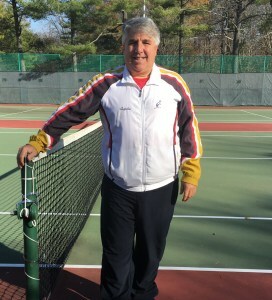 He has spent the last 20 years sharing his passion for tennis while teaching people of all ages. Walter has always believed that developing coordination skills and technique is very important but the number one thing at an early age is to have FUN playing tennis. This will give your child the best chance of taking tennis to the next level. Currently Walter is not only the Director of the Tiger Tennis Academy but also the Head Coach of the Division 2 LIU Post University Women’s Tennis Team. I have been playing tennis since the age of 4. I’ve played at different sites all over queens. I played for Bayside High Schools tennis team. I was the captain of the team and 1st singles for 3 years in a row. I have been coaching for 3 years. Playing tennis to me has always been a way for me to express myself and to take my mind off things. It was always a way to remind myself that I don’t need to rely on a team to get the job done for me. Tennis has been a lesson to me that nothing else could have taught. In the 13 years i’ve been playing tennis, I can happily say that it was the best decision I’ve ever made. I’m 20 years old. I’ve been born and raised into a tennis family, my parents and siblings all play. I’ve started playing when I was 12 years old. However, I started getting serious with tennis when I was 14. At my first year in high school I did not make my varsity tennis team, but my sophomore year I’ve landed a spot on the 1st doubles position, as well as becoming team captain in my senior year at Francis Lewis High School. I’m also my younger brother’s designated hitting partner. I’ve helped him obtain a current Eastern ranking of #50 and a Metro ranking of #1. I’ve been coaching since 2013 from places like Bay Terrace Tennis Center to Billie Jean King’s National Tennis Center (home of the U.S. Open). Tennis is what I think to be the most difficult and most fun sport invented. It is an all around challenge to the body and mind, but if done right and with enough passion, one can get more than enough satisfaction and a prideful sense of accomplishment when determined to achieve their desired goal. Tennis pushes you to use its skills not only on the court, but off the court too. Whether you win or lose your match, my number one rule is to always have fun playing! Christopher grew up in Valley Stream and he has been playing tennis from the age of 4, not only was a Christopher an avid tennis player but he loved soccer. Christopher played on his High School team as well his college team at Adelphi University. Christopher has been coaching from the age of 15 and has a tremendous talent of working with young children. He exudes tremendous patience all while teaching the basics and the children feel very safe in the environment he creates on the tennis court. Christopher is in his last year at Adelphi and will graduate in June, 2018. As a lifelong tennis player, Robbie made the seamless transition to coaching while studying at Hunter College. 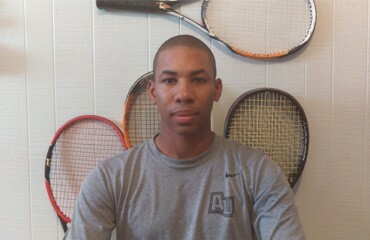 At Hunter, Robbie was a starter on the Hawks tennis team as well as the 2011 Coaches Award Winner. Since graduating, Robbie has continued to coach tennis to people of all ages. He has been with Tiger Tennis for 2 years now and loves having the opportunity to introduce young kids to tennis and hopefully develop them into lifelong players. In addition to working with Tiger Tennis, Robbie coaches the 2015 NYC Mayor’s Cup Champion Varsity Girls Nightingale Nighthawks Tennis Team and is the Assistant Coach of the Women’s Tennis Team at LIU Post.